Specializing in weddings, funerals, birthdays and more. Banquet facility available for weddings, private parties, business meetings, & other events. Banquet hall rental, decorations, catering and entertainment. Banquet facility for 200 people, catering for 30 to 1000 people. Chicago's premier supper outdoor supper dining facility. 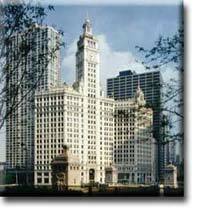 We have all your wedding needs come to the gracious mansion in Geneva - 36 rooms including 2 restaurants. Banquets, wedding receptions, bridal showers and special occasion parties. 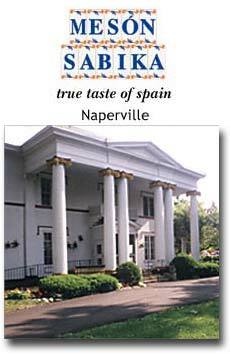 Renowned for exemplary service, delightful ambiance, and distinctive Spanish cuisine � Meson Sabika brings tapas to a new echelon. Opened in 1990 this four-acre estate, originally built in 1847, has been meticulously renovated and offers an unmatched dining experience. Dine indoors and enjoy the grace and charm reminiscent of a European villa with original oak woodwork, lace curtains, and hand painted ceramics. Or enjoy the ultimate alfresco experience on the brick terrace underneath the 150-year-old oak trees of the estate. Lunch, Dinner, Sangria, and Large Parties. In the great tradition of tapas bars and restaurants in Spain � come celebrate friends, family, and life. Hansome historic clubhouse in Frank Lloyd Wright District offers ambiance of a private home. ADA compliant; smoke free; adjacent parking. Attention to detail and personalized service for all events. NFP Discount. Fine dining cruise ship with live jazz entertainment. Opened in 1982, Pops for Champagne is the nation's most acclaimed champagne bar and Chicago's most elegant live music venue. Along with a world-class selection of over 120 champagnes, Pops for Champagne also offers premium wines, spirits, beers, appetizers and desserts. With fireplaces and a beautiful outdoor garden area, this landmark Chicago night-club is perfect for year-round personal and business entertaining. Pops for Champagne is where Chicago celebrates! There's always something to celebrate! POPS FOR CHAMPAGNE, STAR BAR, and POPS HIGHWOOD offer many options for all your personal party planning needs. From Bridal or Baby Showers, Holidays or Graduations, Birthdays or Anniversaries, or just a friendly gathering, allow our party professionals to provide �Sparkling Accommodations� for your celebration and budget. There's always something to celebrate, so plan your next event at one of our unique locations. Over 100 bottles of champagne with full bar, appetizers and desserts (until 12:30 am). No reservations taken. Dressy but casual attire. Valet parking. Responsible for group functions for all locations.